Defender of the Earth and Leader of a Group Opposing the Gaya Hydroelectric Dam. He is the second activist killed in recent weeks related to this Mega Project which will dam the Apulco River in the western Sierra of Puebla State. His white Chevy car and his body were found by his friends and family members 70 meters down over the side of barranca off a dirt road near Xilita a San Juan, Zacapoaxtla after a two day search. He was shot in the head. Cuetzalan, Puebla: Adrián Tihuilit, defender of the communal property of San Juan Tahictic, a community that has opposed the construction of the Gaya hydroelectric dam in the waters of the Apulco river, was found dead this day with a shot to the head. 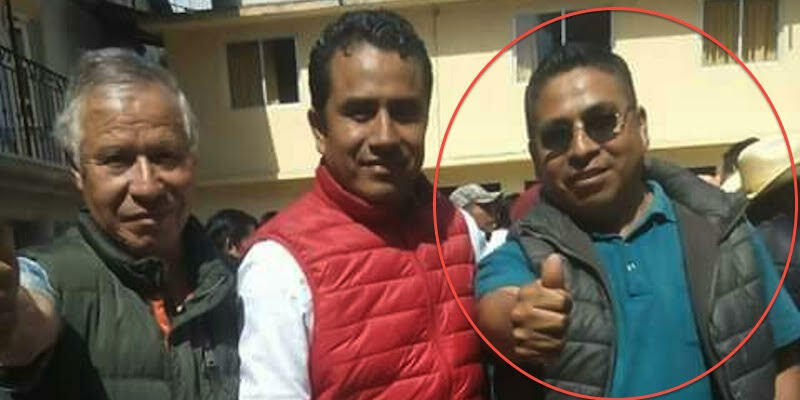 He is the second leader of movements opposed to the so-called "death projects" in the Sierra Norte de Puebla that has been assassinated in recent weeks. Just last May 14 activist Manuel Gaspar Rodríguez, who led movements against various projects in the community of Cuetzalan, was also found lifeless. The body of Tihuilit was found in a ravine in the municipality of Zacapoaxtla by relatives and friends who undertook a search in the area, after the defender disappeared since Wednesday 29 when he left his house and did not return. More than 30 people searched the area for Adrián Tihuilit. The vehicle had gone over the cliff near a place known as Tres Cruces. He was found another ten meters below the car; ie nearly 270 feet below the roadway. The struggle of the indigenous community of San Juan Tahitic goes back to 2013, when it expelled the towns envoys of the Gaya Company who, without permission, wanted to start work on the banks of the Apulco river. Since the residents, led by Adrián Tihuilit, demand that the region be declared "free of mega-projects of death" and the protected areas be preserved by the Convention on the Protection of the World, Cultural and Natural Heritage. Claudia Martínez Sánchez, director of the National Early Warning Group of Journalists and Human Rights Defenders, expressed her concern about the "hunt" that defenders of the land in Puebla are subject to. 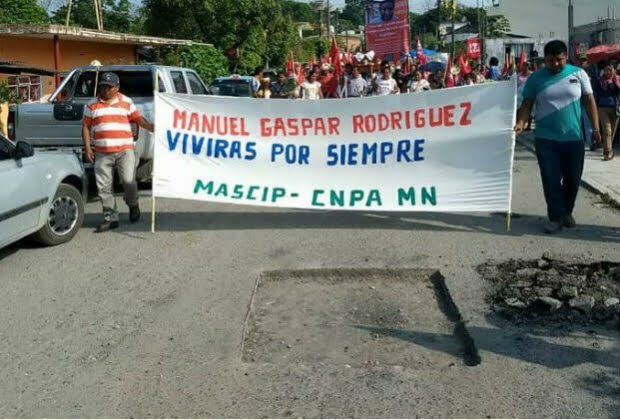 "On May 15, Manuel Gaspar Rodríguez, leader of the Indigenous Peoples' Urban and Popular Peasant Movement of the National Plan Coordinator of Ayala-Movimiento Nacional (MIOCUP-CNPA-MN), who was one of the main opponents of the projects, was viciously murdered. hydroelectric power plants of the Federal Electricity Commission (CFE) in the Cuetzalan area, "he recalled. 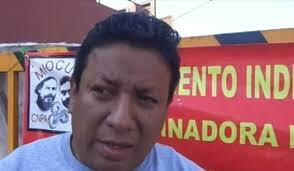 According to Martínez Sánchez, the victim was executed with a sharp-edged weapon inside a hotel in the municipal capital of Chignautla, after participating in a forum to denounce the theft of water to which the peoples of the Sierra Norte area of ​​the State of Puebla are subject. 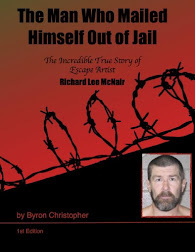 He was also persecuted by the Attorney General's Office (PGR) for an arrest warrant that was issued on the basis of fabricated crimes, he said. 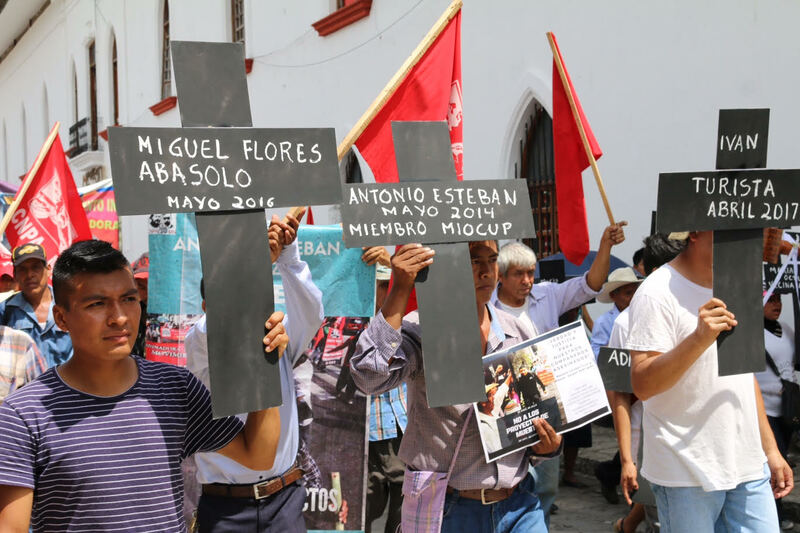 "Given these facts, the National Early Warning Group of Journalists and Human Rights Defenders makes a strong appeal to the government of the State of Puebla, to publicly recognize that in this entity the exercise of journalism and the defense of the land have become vocations of death, " she added. The journalist also requested that the government include in the lines of investigation of the two assassinations of activists the affectations that their struggles caused to the interests of the transnational companies that intend to install their energy projects on Indigenous Lands. "We demand that a public report be provided on the lines of investigation that are addressed in the murders of Manuel Gaspar Rodríguez and Adrián Tilihuit, and that cooperation be allowed in the investigations of the two cases of non-governmental organizations dedicated to the defense of the land and human rights, " he claimed. In addition, she requested that both cases be attracted by the Special Prosecutor's Office for the Attention of Crimes Committed against Freedom of Expression (FEADLE) of the PGR, considering that these facts inhibit the generalized protests against companies developing energy projects in the area. From July 2016 to December 2017, there were eight attacks against people, communities or organizations defending the environment in Puebla, with which the entity ranked as the second state in the country with more cases of this type, only after the State of Mexico where there have been 10 attacks, according to the report of the Mexican Center for Environmental Law released this year. So far this year in the country at least have been recorded the murder of 4 defenders of land and territory. Guadalupe Campanur, companion Manuel Gaspar Rodríguez, Miguel Vázquez and last Wednesday, Adrián Tihuilit. 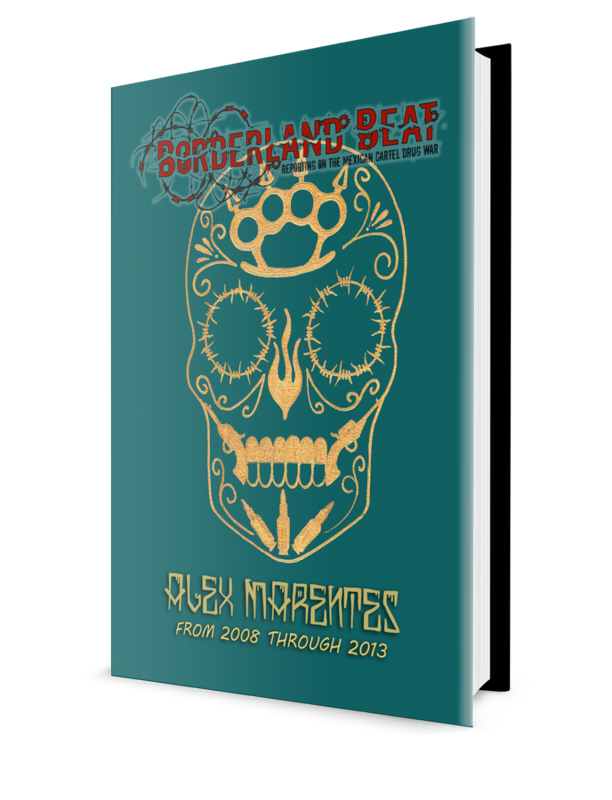 Given the insistence of international human rights bodies in their concern about the role played by the Mexican state in dealing with human rights defenders, the Mexican authorities have been omitted. The Mexican authorities at all levels do not fully understand that the exercise of human rights must go beyond being a mere declaration to the possibility of providing an environment of freedom and equality and comply with them with a basic principle of guaranteeing the dignity of the human being. human being through respecting certain minimum rights that are recognized to individuals in their sole condition as human beings. The Northern Sierra of the state of Puebla is one of the richest in terms of biological and cultural diversity of the state, however, following the energy reform and the policy of dispossession and taxation that the authorities have promoted in their three levels of government since 2013 , also the Northern Sierra has been part of the state most affected in terms of mining concessions: equivalent to 28% of the populated territory, hydroelectric projects: 8 with some type of permit, fracking : 10,092 projected wells and other projects of infrastructure for the development of national and foreign companies, according to information from the organization PODER, (www.colaboratorio.org) and Jaime Patiño Ruíz, former president of the Mexican Association of Petroleum Geologists. In view of this vision of the Mexican state, it has been the indigenous and peasant communities who have mainly organized themselves to assert their voice and defend their territory. The struggle has not been easy, and in the midst of it they own companies that promote different projects and the authorities have mainly provoked the purchase of consciences, the division and confrontation of the communities, have allowed and promoted the increase in organized crime, have tried innumerable times to demobilize and disorganize the communities. Now also systematically there has been the harassment and criminalization of organizations and defenders who have taken up the responsibility to walk with or take sides with the communities, and they all have to face threats, follow-ups, robberies, death attacks, the use of the law for coercive purposes, while living with the facts of having other colleagues killed from 2014 to date. Antonio Esteban Cruz, murdered on June 4, 2014, on the banks of the Apulco River, where, having allowed it, today he could be earning millions of pesos at the expense of communities and businesses; their companion Manuel Gaspar Rodríguez assassinated , instead of possibly working in functions at the substation and the high tension lines of Cuetzalan. The murders of both occur cases in the context of the defense of the rights of the indigenous communities, the defense of their territory and their culture, both cases are also waiting to reach truth and justice. The fight against mega - projects has been a task of several indigenous and peasant organizations in the northeastern highlands of the Pueblan Sierras with different methods and forms of struggle, but all with the genuine interest of avoiding the imposition of mega - projects of death. "In view of the situation we now face, we say to the indigenous and mestizo communities that today more than ever, it is important to confirm our commitment to the defense of water, land, territory and life, which is important to redouble our efforts to continue with the informed and organized struggle of our communities. Despite the electoral conjuncture, our communities must continue united in the defense of our territory. 1. Address the needs of our indigenous and peasant communities and stop promoting the economic and political interests of national and foreign companies that besiege the territory of the northern highlands. 2. Carry out what is conducive to seek truth and justice for Manuel Gaspar Rodríguez and Antonio Esteban Cruz. 3. Punishment to the material and intellectual assassins of the assassination of Manuel Gaspar Rodríguez and Antonio Esteban Cruz. 4. Adopt urgent measures to stop the criminalization against social organizations and / or people defending the right to territory, water and common property and all those actors who, through struggle and social protest, demand respect for their rights and its guarantee, especially from the members of the MIOCUP, the CNPA MN, the Tosepan Titataniske Cooperatives Union, and the member organizations of the Tiyat Tlalli Council and the persons that have been indicted in the CFE research folders: Álvaro Aguilar Ayón, Alfredo Guerrero Santos, Francisco Jiménez Pablo, Rufina Edith Villa Hernández, Nazario Diego Tellez and Luis Enrique Hernández Lomelin; for defending the right to self-determination of the communities and the Integral Territorial Ecological Planning of Cuetzalan. 1. That it guarantees a serious, effective, effective and impartial investigation and that it carries out, by all available means and within the framework of its duty of due diligence, all the necessary investigative acts in order that there be an exhaustive clarification of the facts, oriented to the determination of the truth, capture and prosecution of those responsible, in accordance with the right of victims and their families to know the truth and obtain justice. 2. That the lines of investigation do not detract from the link of his murder with his work as an activist and defender of human rights, mainly the right to territory. 3. That the lines of investigation include the possible link of his murder with the affected interests of Minera Autlan, the Federal Electricity Commission and the Municipal President of Cuetzalan del Progreso, Oscar Paula Cruz, with projects like: "El Areton" , the "Cuetzalan High Voltage Line at the connection between Teziutlán II Tajín" and by limiting the activities at the inter-municipal Cuetzalan "landfill" . The Puebla Network of Journalists also made a denouncement claiming that the night of Thursday May 31 a firearm attack was perpetuated against Radio Xalli , a community station dedicated to cultural issues in Palmar de Bravo. In a statement, they explained that at approximately 10:00 pm two men on a motorcycle passed by and fired four times against the front of the radio station. Hilario Cruz, director of the radio, said he was inside his house, located next to the station, when he heard the shots, but was not injured. He added that every day there are young people standing nearby watching. The Network Puebla de Periodistas warned that it is not the first time that Radio Xalli suffers aggressions. Three years ago, collaborators made a transmission of a fact related to the theft of fuel and mentioned some names of people involved. Minutes later several subjects arrived at the radio facilities and threatened the receptionist. Palmar de Bravo is a risk zone due to the presence of criminal groups dedicated to the theft of hydrocarbons. There, journalists from the region have been assaulted by residents who protect the criminals as well as the men on motorcycles. "Given this situation from the Network Puebla de Periodistas requests the Federal Authorities to provide protection to the members of Radio Xalli , investigate the aggression against our colleagues and ensure their exercise of freedom of expression," the statement said. Also this Friday, Carlos Garrido Torres, candidate of Morena to the municipal presidency of Juan Galindo, denounced that he was the victim of an attack on the night of Thursday, May 31 when an unknown person shot the vehicle in which he was traveling. According to the complainant, the facts were recorded when they were circulating on the road that leads to the Mexico-Tuxpan federal highway around 8:30 p.m.
A man traveling in a white Tsuru fired three shots, one in the air and two more that hit the van in which the candidate was traveling, but both Garrido Torres and his driver were unharmed. Note: As of this publication I have lost track of the number of candidates that have been murdered in the last few days. These activists are true heroes to not only mexico but to world survival. There murders should be fully investigated and there savage killers be brought to justice. Who will investigate, if it is the currupted Mexican government that ordered the hit, of this activist. It money they want in thier pockets, weather the activist was in the right, the government could care less. Now tell me who will investigate. Your statement is totally correct. Whether in Mexico or other parts of the world. Natural resources have been exploited and plundered for generations by Big corporations for profit. Disregarding the severity and natural balance of communities and societies. Heartbreaking to see another patriot of the earth fallen victim of reprisals. Unfortunately, he will not be the last in a world filled with greed and corruption. Moreover, where human population soaring adds to more challenges ahead. Nevertheless, his hard efforts and dedication I’m sure will not be forgotten. Would not be surprised if the company contracted to do the work had him taken out. Maybe even top officials that are getting kickbacks from the company they contracted. Nieto made a lot of money buy giving construction contacts to only one company here and everyone knows it. But alas, no one can do anything to stop the corruption or you pay with your life. The US government financed the militarization and takeover of police work and the purpose was not so much a "War on Drugs" but a war for everything, billions of dollars from US taxpayers finance the business enterprises of their secret patons but do not benefit Americans in any way, that is why they keep it secret, including by blaming the biiig baaad narcos and La Mencha...when we all everybody knows it is the politicians.